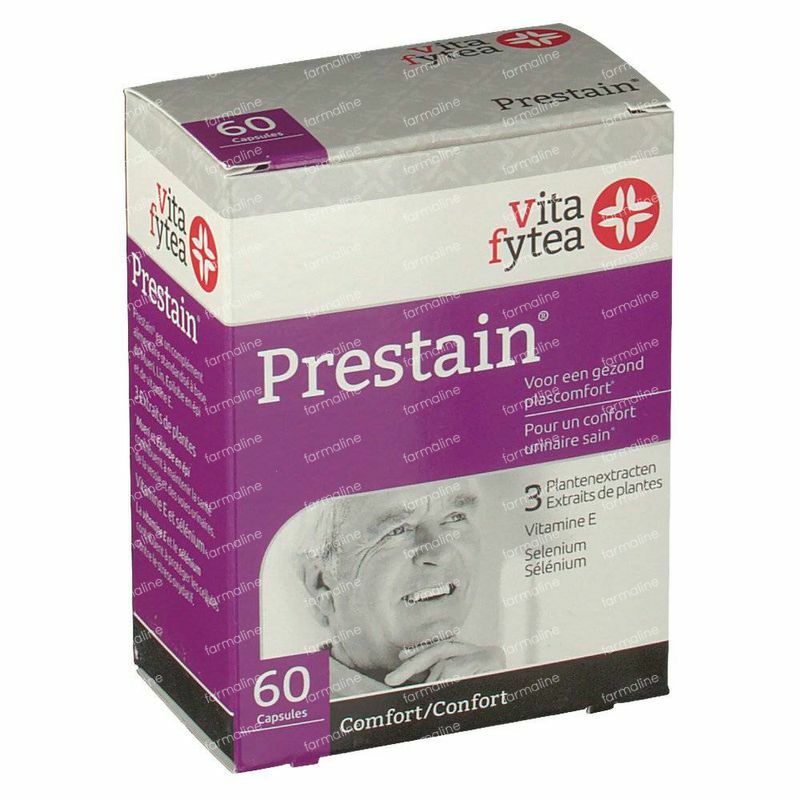 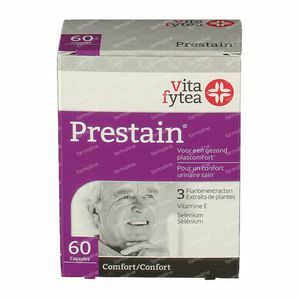 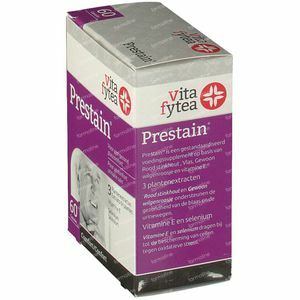 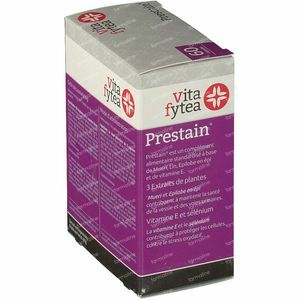 Vitafytea Prestain 60 capsules order online. Standardised food supplement with Prunus africana, Epilobium and vitamin E.
Prunus africana and Epilobium support a healthy bladder and urinary tract. Vitamin E and selenium contribute to the protection of cells against oxidative stress. 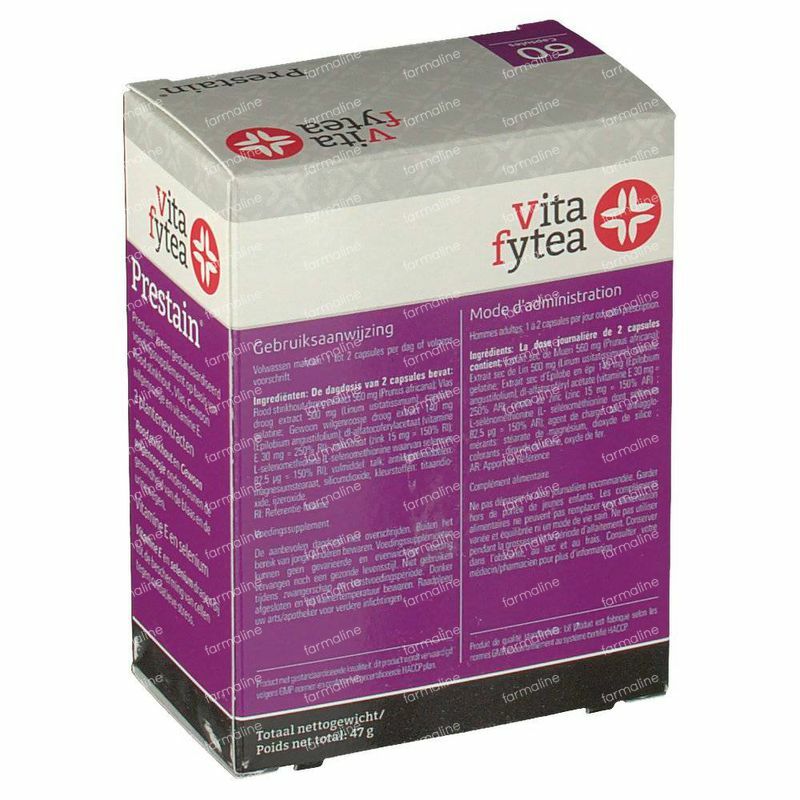 Red stinkwood standardised dry extract 560 mg (Prunus africana); Flax standardised dry extract 500 mg (Linum usitatissimum); Capsule: gelatin; Rosebay willowherb dry extract 140 mg (Epilobium angustifolium); dl-alpha tocopheryl acetate (vitamin E 30 mg = 250% GDA); Lycopene 3,6 mg; L-selenomethionine (L-selenomethionine of which selenium 82,5 μg = 150% GDA ); Anti-caking agents: magnesium stearate, magnesium silicate, silicon dioxide; Colouring agents: titanium dioxide, yellow iron oxide.